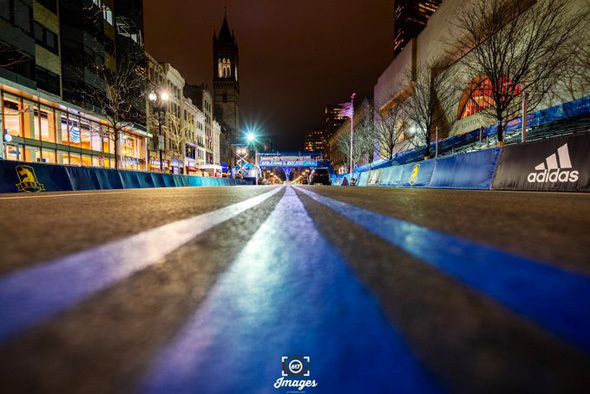 The BBC reports that the Chinese Athletic Association (CAA) has banned three runners from competing in any future races after claiming they cheated during last Monday's Boston Marathon. One runner was accused of giving his/her bib to another runner while the two others allegedly used faked race results in order to qualify for this year's race. Read more. The Joy of Sox updates the count of players who have better things to do than pose for photos with Dear Leader. 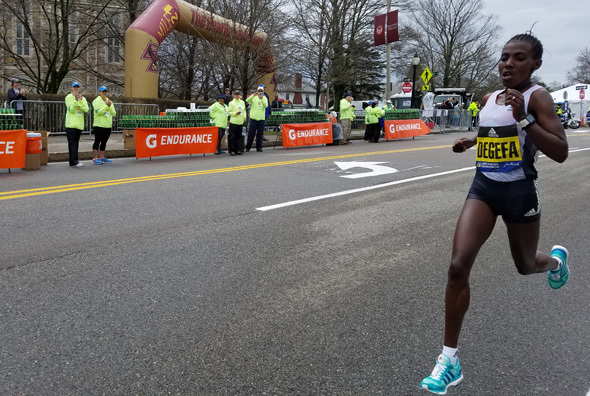 Paint the World watched women's Marathon winner Worknesh Degefa race by BC with nobody close to her. In contrast to Degefa, the men's leaders at that point were all bunched together: Read more. WCVB reports Rob Gronkowski is hanging up his cleats for good. 'There lacks a certain sweetness in my life': Dunkin Donuts made sneakers & I'm weeping real, IRL tears of happiness about it. 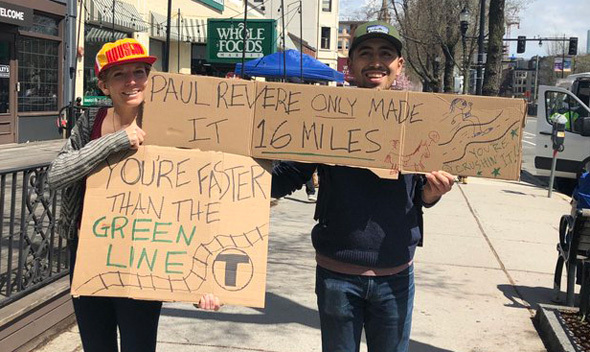 Two Massachusetts companies are once again teaming up ahead of the 2019 Boston Marathon in hopes of "keeping Bostonians running." Canton-based Dunkin' [Donuts] and Waltham-based Saucony have released their limited-edition Saucony x Dunkin’ [Donuts] Kinvara 10. 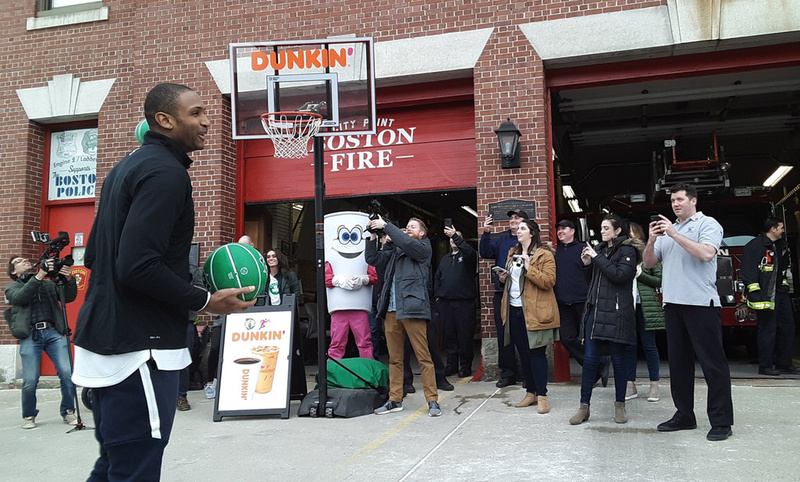 Al Horford of the Celtics showed up at the K Street fire station in South Boston with some Dunkin' Donuts coffee and donuts to hang out with the firefighters and play some horse today. Eileen Murphy was there. Read more. Wait, knuckleballers feel like they have to take PEDs? Apparently so, although possibly not intentionally. NBC Boston reports on the charge against Robert Kraft. Cafardo died today while at the Sox training camp in Florida, the Globe reports. 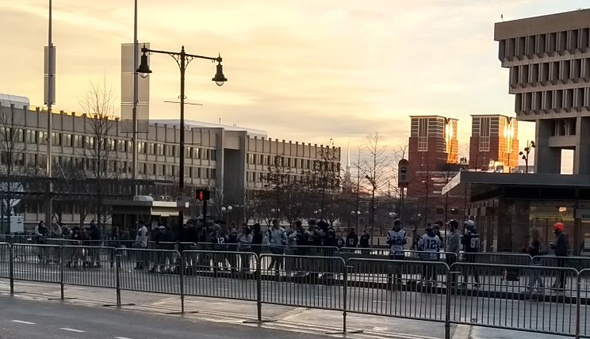 Lining up for the parade at 7:15 a.m.
Sarah Bourne shows us the Patriots fans already lining up at City Hall Plaza at 7:15 a.m. for the Patriots parade. And that means problems for people trying to get to work on public transit: Read more. 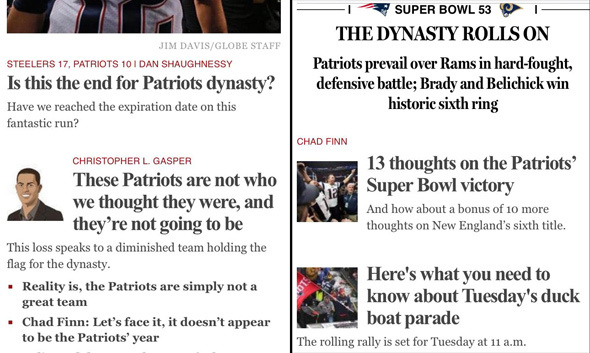 Rajeeve Martyn compares bostonglobe.com home pages from Dec. 17 and today. 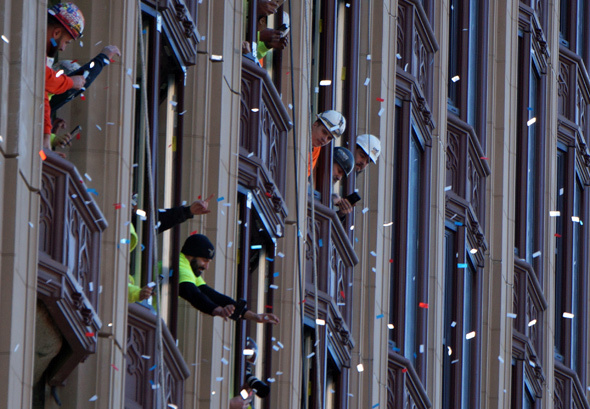 Of course, Globe Senior Hater Dan Shaughnessy led the doom train in December: Read more. Boston Police report arresting a BU student from Los Angeles last night after, they say, he refused to come down from a tree in the Common. Read more.